The classic Newbery Honor book that inspired the hilarious Jim Carrey movie--and a childhood favorite book for generations. 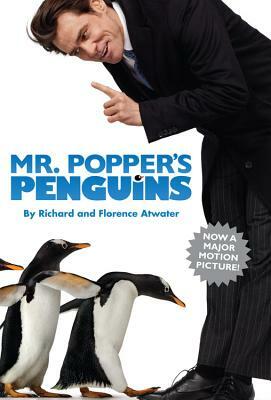 Mr. Popper's Penguins is one of the handful of American books for children that has attained the status of a classic. A humble house painter is sent a male penguin by the great Admiral Drake and, thanks to the arrival of a female penguin, soon has twelve penguins living in his house. First published in 1938, Mr. Popper's Penguins has amused and enchanted generations of children and their parents. Before his death in 1948, Richard Atwater was a newspaper columnist and a professor of Greek. He is best known for writing Mr. Popper's Penguins with his wife, Florence, who finished the novel when he fell ill. Together, they were honored with the 1939 Newbery Honor Award.